Designed for law enforcement by law enforcement as a quick reference guide to finding those pesky California Vehicle Codes. 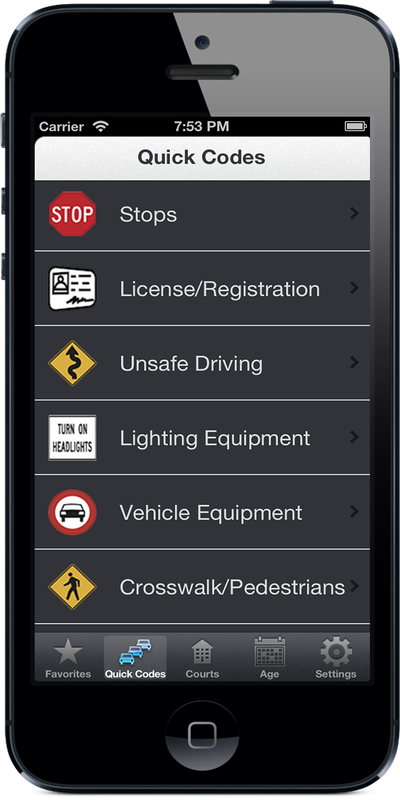 The app provides the most commonly used vehicle laws used to cite drivers. Providing a categorized and simple description for each common vehicle code, the app makes finding the right CVC section to use a simple task. For example, every law will be labeled: “Running a Red Light” instead of the lengthy legal wording which often takes an attorney to decipher.